Mitch Needelman, CFA, is a Principal and Senior Portfolio Manager at Spectrum Asset Management, Inc.
With broad experience in all aspects of equity and fixed income valuation, portfolio management and asset allocation decisions, Mitch’s duties include investment counseling and portfolio management for individuals, families, and retirement plans, focusing on clients unique investment needs. His almost 25 years of experience includes work in: Research, Portfolio Management, valuation, and asset allocation. He has in depth research expertise in publicly traded stocks, bonds, ETFs, and mutual funds; as well as Alternative Investments such as: trust deeds, private equity, private loans, tax lien certificates, and crowd-investing. 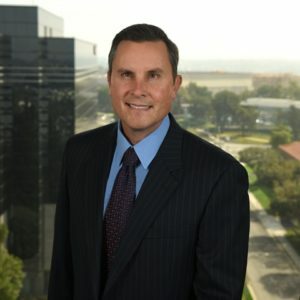 Prior to working at Spectrum, Mitch served for 15 years as President of Needelman Asset Management, Inc., a fee only RIA located in Orange County, CA that he helped to successfully merge into Spectrum. He began his career at Brandes Investment Partners, a multi-billion dollar Independent RIA located in San Diego, CA, and was charged with building out a fledgling electronic research effort. His responsibilities included acquiring and integrating data from disparate financial databases, running screens, financial modeling and standardizing the distribution of valuation data, that drove portfolio management decisions. As his career expanded, he joined Brandes portfolio teams and earned his Chartered Financial Analyst (CFA) designation in 2001. He holds a BA in Liberal Arts and Science with a minor in Information Decision Systems from San Diego State University, and an MBA in Finance and Accounting from the University of California, Irvine. He has served as an Investment Committee Member on the CFAOC Foundation. Mitch is a southern California native where he has lived his entire life. He currently resides in Orange County, with his wife and their four children. In his free time, Mitch enjoys spending time with his family, surfing, camping and hiking.